As one of the many figureheads of the civil rights movement, U.S. Supreme Court Justice Thurgood Marshall’s achievements changed history and have lead to his being one of the most famous SCOTUS Justices of all time. In honor of Black History Month, here’s 10 facts you may not have known about the first African-American to be appointed to the Supreme Court, Thurgood Marshall! The now-famous lawyer and judge originally applied to university with the intention of studying dentistry! Thurgood Marshall was born Thoroughgood, but he shortened it when spelling it out every day in elementary school became tiresome. 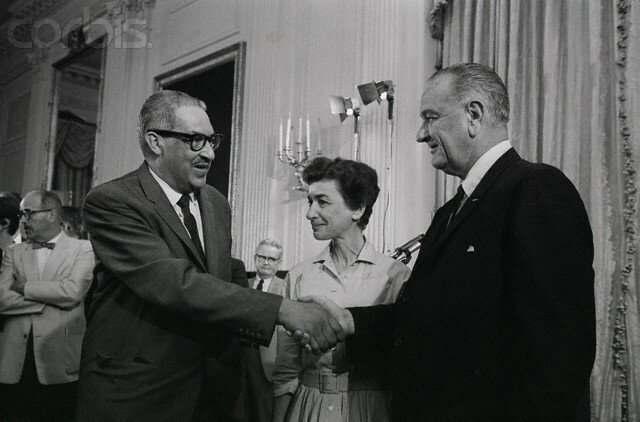 Thurgood Marshall served as chief counsel for the NAACP, where he argued several landmark cases, including Brown v. Board of Education of Topeka in 1954, which ended segregation in schools. Marshall met his wife, Vivian Burley, and married her while still in school at Lincoln University. He has claimed multiple times that it wasn’t until meeting Vivian that he straightened up and was ready to make a difference in the world. Marshall won his first case in front of the U.S. Supreme Court, Chambers v. Florida, at the age of 32. The case established that confessions obtained through police coercion were not valid in a court of law. President John F. Kennedy appointed Thurgood Marshall as a circuit judge in 1961, where he served as U.S. Second Circuit Court of Appeals judge for 4 years. In this period, his 100 decisions were never overturned by the Supreme Court. Marshall served as a Supreme Court Justice for 24 years before retiring in 1991. 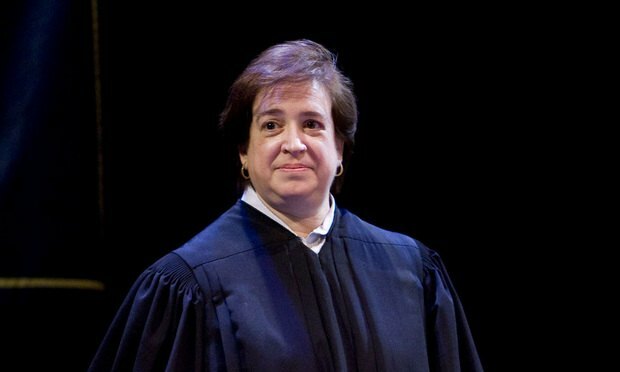 While serving on the Supreme Court, Justice Marshall’s many law clerks included Elena Kagan, who would go on to become a Supreme Court Justice in 2009 under the Obama administration. Many short films and series have been produced depicting the life of Justice Thurgood Marshall, including the 2017 drama Marshall, starring Chadwick Boseman (seriously check this movie out, it’s amazing!). Anna is a Sophomore at Boston College studying Communications and Journalism. When she's not studying or having existential crises, you'll find her watching "Call Me By Your Name", drinking hot tea, looking at pictures of her pups (Gatsby and Z), or making hypothetical travel plans.